Our Wellington learning center serves athletes of all sorts. Of course we support many equestrians, since we are located just a few miles from the grounds where the largest horse show in the world is held annually, January through March. But we also support many other athletes, including tennis players, golfers, hockey players, water skiers, dancers, and figure skaters. Students often enjoy having class, or sharing a snack with friends, on our outdoor patio. Not to worry, the picnic tables are equipped with large umbrellas to shield you from the sun. Though all of our tutors are exceptional, we have a few extraordinary accomplishments to boast about. Alan has been teaching students how to program Raspberry Pi computers and has helped multiple students achieve a perfect 800 on the SAT math section. Tara is our resident expert for the reading and grammar sections of standardized tests. 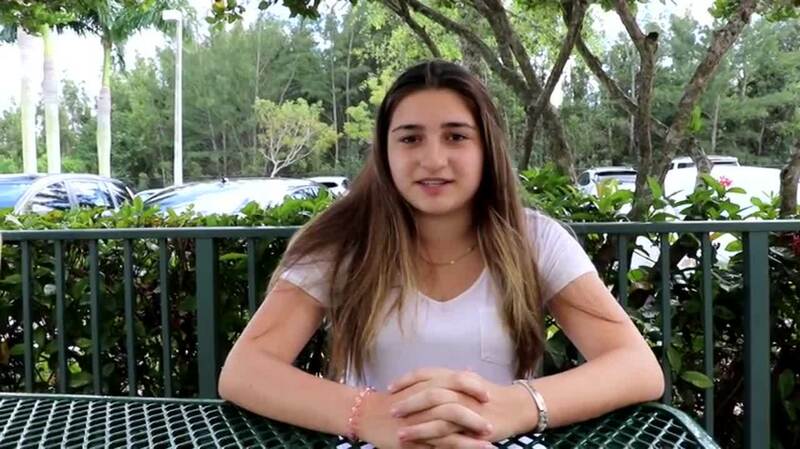 She is also a college application essay expert, consistently helping students gain acceptance to their colleges of choice. We also have some scientists of note. Sonia holds a PhD in Chemistry and inspires students to think outside the box on a daily basis. Lisa invented and patented the solution used to wash the chicken humans eat to make it safe for consumption. Savannah is a mechanical engineer, specializing in the highest levels of physics and Calculus. Madeleine has 20 plus years experience teaching and is a language arts expert for elementary and middle school students, frequently helping students improve to the point of exceeding grade level expectations. The combination of all this experience and expertise is what makes Score At The Top one of the private schools in the state! Conveniently located near The Mall at Wellington Green, and surrounded by many excellent eateries, you can run all your errands, or grab a bite to eat, while your kids are getting tutored. Staying competitive in today’s academic environment can be a challenge for many. Time and time again we see incredibly bright students struggle to achieve their best in the traditional academic environment. At Score At The Top, we fully understand that each student learns in their own way and needs an educational program that meets them in the middle. Furthermore, every student has a unique background, schedule, and approach to academics. For those struggling to relate with the traditional template of education, we offer top-to-bottom academic tutoring programs designed to accommodate each student individually. Sessions can take place in a student’s home, online, or at the Score At The Top facility in Wellington – whichever works best for the individual and their family. Preparing for the SATs is a process that should not be taken lightly. A student’s score on this exam reflects a comprehensive view of what they learned throughout their K-12 career. Colleges and universities use the results as a deciding factor in who they accept into their programs. With this in mind, it’s vitally important that students do well and showcase their college readiness in the best possible light. Pick up a number of reading strategies designed to improve comprehension. Work on perfecting grammar and expanding vocabulary. Learn math and problem solving shortcuts for better time management. Sharpen skills in basic algebra and geometry. Practice professional writing techniques to perform well on SAT essay. Work on a myriad of effective test-taking strategies within our SAT workbook. Customizable sessions designed to meet their needs. Practice to improve grammar and expand vocabulary. Understanding of scientific reasoning concepts. New approaches and strategies to mathematical problem solving and time management. Education of the best test-taking strategies with our prized ACT workbook. It’s no secret that high school students in the United States are under a lot of pressure to attend college immediately after their K-12 career comes to a close. Given the ever-increasing price tag of colleges and universities, not having a rock solid direction after graduation can lead to a number of unfortunate consequences. For this reason, we highly recommend that students and families begin thinking about post-graduation plans as early as possible. The goal of our college guidance program is to start planning early enough so there is a roadmap in place by the spring semester of junior year. Develop an advantageous plan-of-action to finish out K-12 career. Understand academic weaknesses and figure out how to turn them around. Look into extracurricular activities to strengthen academic resume. Research summer opportunities to reach college or career goals. Examine student’s interests and find ways to turn them into a future focus. Build an appealing resume to accompany college application. 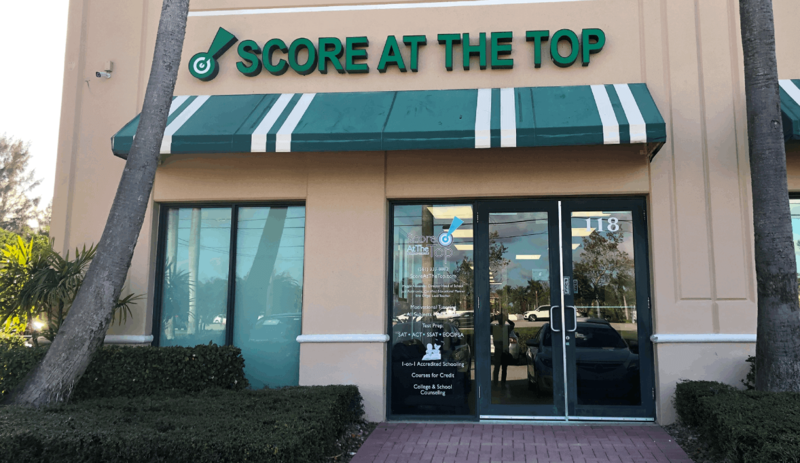 Score At The Top has developed a strong reputation for being one of the most versatile and accommodating institutions across the scope of Florida private schools. Each of our programs is specially designed in a way that can adjust to the nonconformities of the traditional academic template. Each student is viewed as an individual who has a unique set of needs, interests, and ideal methods of learning. The educators we employ are adept in gaining a strong understanding of how to properly accommodate the learning experience for every student. We are equipped to provide a far-reaching education to Wellington students across subjects ranging from Math, Science, Humanities, Arts, Foreign Language, and much, much more. Our experts can also help students with Academic JumpStart programs and AP exam prep. Within every program and curriculum, we have the underlying goal to find the best ways for students to achieve academic success and improve their future outlook.